If you’re an alien buff or just really, really bored with knowing just one species that can hold a decent conversation, this might come as a bummer. 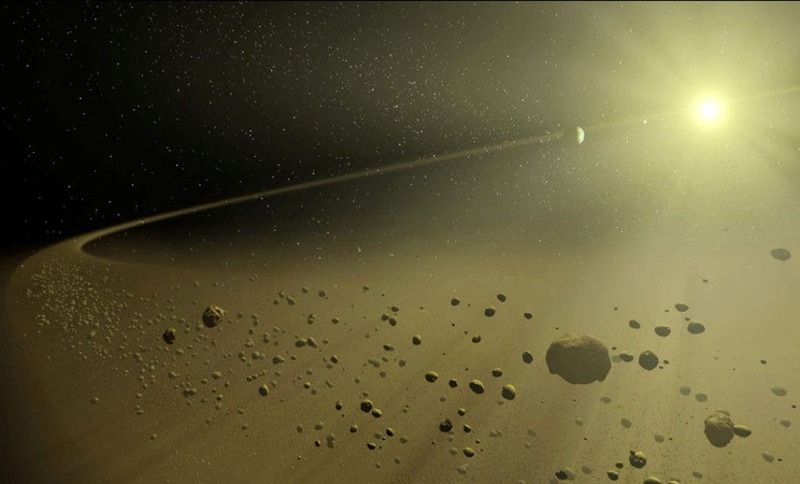 SETI has confirmed that KIC 8462852, the 1,500 light-years away star that’s been all over the news as potentially having signs of an advanced alien megastructure built around it is just a regular, run of the mill, alien-free ball of atomic fire. The story sprung up in the media after The Atlantic picked up Pennsylvania State University astrophysicist Jason Wright’s suggestion that the huge dip in brightness seen from the star — some 20% of its total brightness — could be due to an artificial structure. People started excitedly discussing Dyson spheres, orbiting space stations, but most importantly — advanced alien intelligence. Last month however, a separate research effort came to the conclusion that the dip in brightness was most likely caused by a swarm of comets passing in front of the star. Since then, SETI had all eyes and ears pointed at the star to catch any signal that the presumed aliens might be broadcasting to us. The latest one to join the search was the Boquete Optical SETI Observatory in Panama which, from October 29 trough to November 28 used its incredibly powerful single photometer to look for pulses that repeat in a regular manner. “If some day we really detect a signal from an extraterrestrial civilization, we need to be ready to follow up at observatories around the world, as quickly as possible,” added Vakoch in the statement.